Betty Blocks is the world’s number one no-code application development platform. As a B2B company, they focus heavily on delivering high-value content to their audience. In order to gain valuable reader insights, boost interactivity and accelerate lead generation, they decided to shift their entire content production process from PDFs to Foleon. 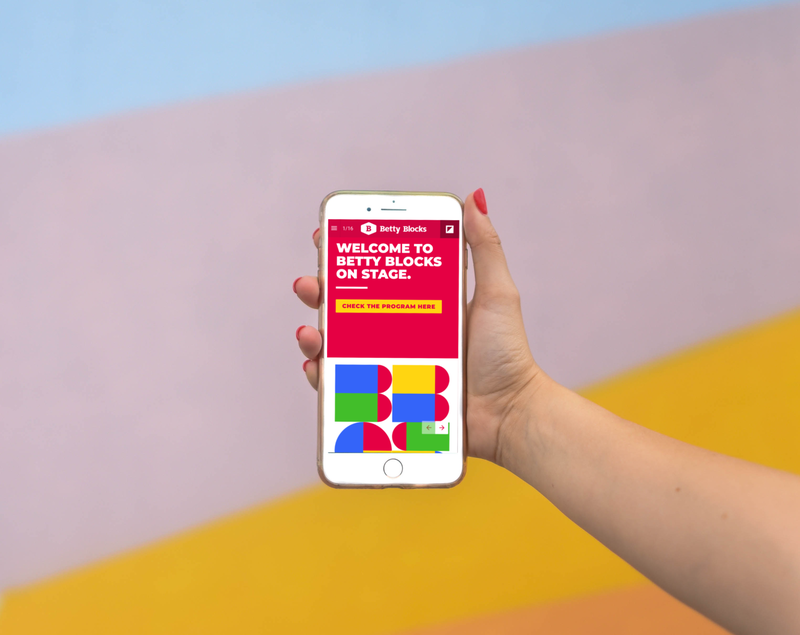 We interviewed Victor Küppers (VK), VP of Marketing and Lisanne Steenis (LS), Brand Manager at Betty Blocks to hear about how shifting to digital content accelerated their digital content creation process, ramped up lead generation, and provided valuable insights about their audience engages with their digital content assets. 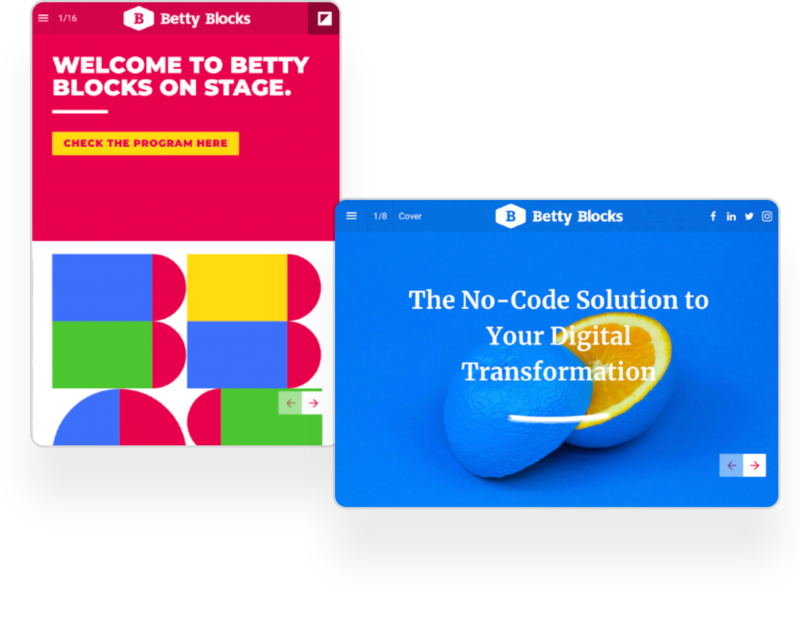 VK: Betty Blocks is a no-code platform that lets you create impactful applications, without any programming knowledge. Our big hairy audacious goal is that by 2023, anyone can build an application. As VP of Marketing, I lead the talented marketing team. LS: As the brand manager of Betty Blocks, I make sure that everyone understands our brand essence and keep our communications on brand. LS: Before using Foleon, we produced our white papers, event communication and sales enablement assets in PDF format. The content creation process was impaired because the copy and design were coming from different teams. Combining the content with the design required a lot of time and effort, which we are now able to spend more efficiently by using Foleon. VK: Furthermore, PDFs are neither interactive nor measurable. We were unable to gather any data on content usage or engagement after it has been downloaded. Now we are able to see what content our readers like, which lets us tailor the content to our audience’s needs in a more engaging way. How was this affecting your business? VK: The sluggish production process was frustrating and inefficient. We didn’t have the data to address our readers’ needs and optimize our content for them. Despite our aim to be thought leaders in our industry, it wasn’t coming through in the way we presented our communications materials. Our use of PDFs was outdated, and no longer aligned with our brand identity. Why did you decide digital content creation was the answer? VK: As a B2B company, content creation is at the heart of our marketing efforts. We frequently publish marketing and communication assets, including white papers, event communications, onboarding documents, and brand books for our partners. The ability to interact with our audience and find out how they’re engaging with our content is essential and is exactly what digital publications can do. LS: In our opinion, the greatest benefit of using Foleon is that you don't necessarily have to be a developer or a designer to create impressive publications. You don't need to understand InDesign, Adobe, or HTML to use the platform and it’s easy to use, build and reproduce a lot of templates. This makes it easy to always stay on brand with our content. Did you create measurable goals for your publications? If so, what were they? VK: Yes, we always set goals around the number of downloads on a white paper. We’ve started looking at other metrics such as engagement rates and the number of form sign-ups ever since we began using Foleon. How difficult was the transition from PDF to Foleon? VK: The transition went smoothly, and the Foleon team helped us a lot throughout the entire process. During the orientation phase, their sales team asked the right questions to understand our pain points, and their onboarding team extensively trained us on using the platform once we agreed to sign up. We were onboarded by one of Foleon’s designers, Yvonne. Both the platform and the support services we received exceeded our expectations and ensured our smooth transition from using PDFs to start creating digital publications. What types of content did you create with Foleon? VK: We use Foleon for all sorts of sales and marketing materials including white papers, employee onboarding documents, a brand book for our partners and suppliers, sales collateral, and for our event communications. At this point, we are even considering replacing our website with a Foleon publication. Which of our features do you find most helpful? 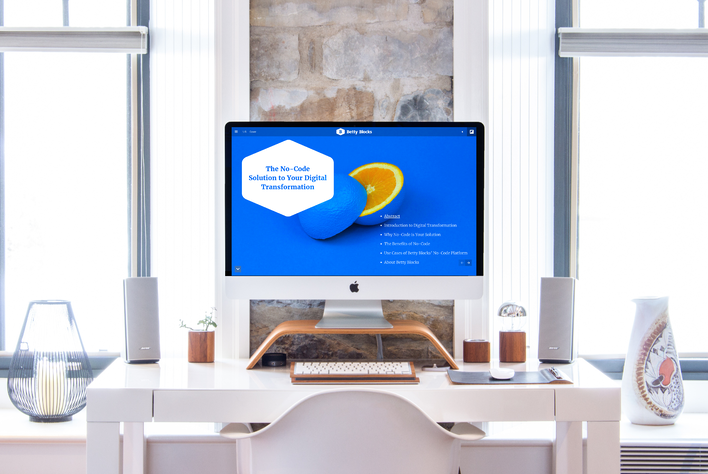 LS: The features that really stood out to us were the sign-up forms and the third-party integrations, which we leveraged to connect with websites like Eventbrite. For example, the publication for our Betty Blocks on Stage event allowed guests to order their event tickets through Eventbrite within the publication itself. What measurable benefits have you seen so far? VK: The results we have seen so far were beyond what we initially expected. Once the data started pouring in we were really excited to see higher engagement metrics, and how it accelerated our design process. We are now able to produce content four times faster than before. Furthermore, we have seen a 20% increase in leads from incorporating sign-up forms into the publications. VK: The next publication we have planned is a curriculum for citizen developers. We are also creating a brand kit for potential partners to educate them on best practices when working with our brand identity. What tips would you share with new Foleon users? VK: Keep in mind that your content creation process will change because you will be thinking about marrying the content and visuals in an entirely different way than you used to. Most importantly, have fun using the tool. You’ll be amazed at how fast you can create visually attractive and interactive content once you’ve nailed down the basics. LS: As a brand manager, my tip is to create a mother of all templates, including the brand theme and different variations of page templates. Whether it's sales, marketing, or HR, other departments of your organization will have a central document to reference and not have to worry about not being on brand.